Offer: Turn web traffic into repeat customers with RETARGETTING. Get x3 rules, x5 tips and x7 tactics. Click here for the free cheat sheet. The headline is weak. The image is useless. With a lot of things vying for your reader's attention, how will this ad stand a chance? 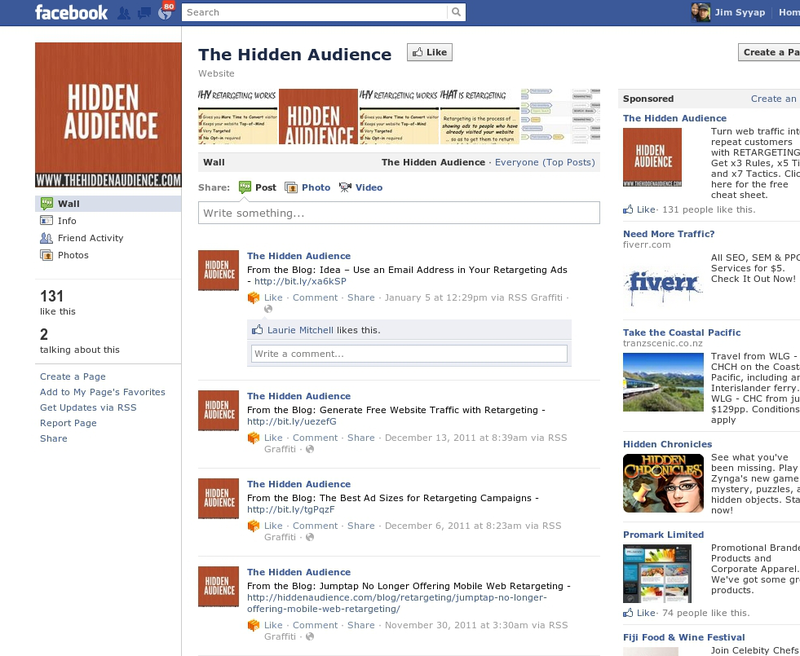 It doesn't matter much if your facebook fan page doesn't have a customized iframe landing tab. Pay attention more to the content that you share so that readers get something of value. It's easy to get people to click Like. You can even buy 10,000 likes if you need that crutch. 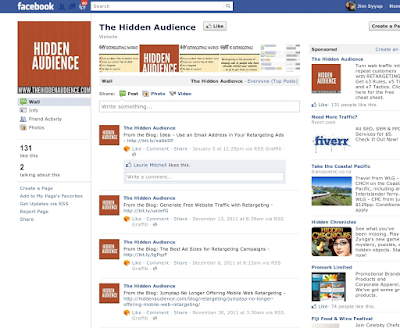 What is more challenging is to get engagement once you are in their newsfeed. The fan page above doesn't offer a clear benefit for the reader. You need attention grabbing status updates with an accompanying image that complements the status update. If this advertiser were running an AB test to find the better ad, I will bet that this one is going to get outpulled by a more specific ad. But still, the fan page needs work to improve its content. 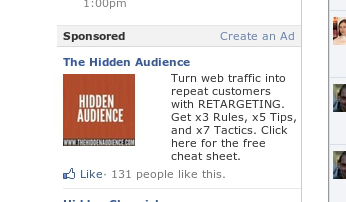 Even with a better ad, this page will not get as many Likes as intended. If I were the page owner, or admin, I will update the Info tab with better copy. Also use better status updates, share content that is more engaging, experiment using different media (images, video, etc. ).